Gianna is an exciting, extremely technical instructor. In addition to her long and dedicated training at Five Points, Gianna has trained and fought extensively out of Sit Jaophao Camp in Hua Hin, Thailand. 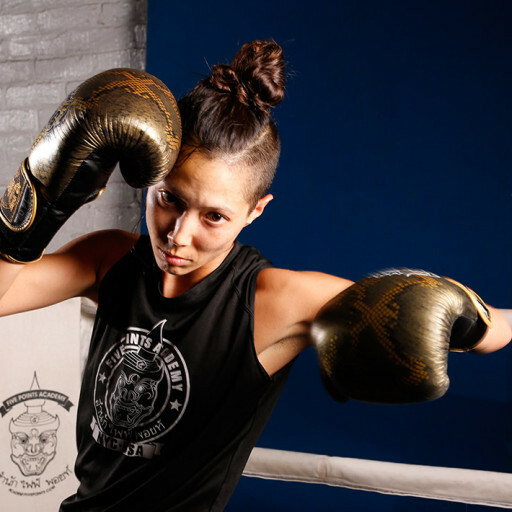 She is an 2x USKA International Muay Thai Champion, the Thai Boxing Assoc 2013 Classic Champion, Victory Sports Champion and was a member of the 2016 and 2017 US National IFMA Team to the May Thai World Championships, as well as a Gold Medalist at IFMA PanAmericans in 2017.